Bilston club holds two meetings a month, the first Tuesday is a business meeting and the third Thursday is a dinner meeting usually with a speaker. 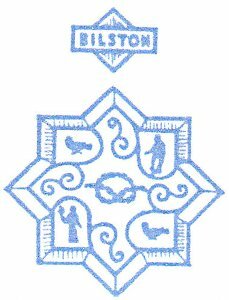 The Bilston club was formed in 1943 but owing to the war restrictions no metal of any kind was available to make a badge. Two members gave silver soup ladles and coffee spoons and the badge was created at Bilston College of Arts and is the coat of arms of Bilston. Currently we have 32 members from a wide area covering not just Bilston but the West Midlands and Shropshire. We are a vibrant club whose members enjoy working on behalf of others, particularly women and girls, at home and abroad. For instance we support a local women’s refuge by providing household goods, personal gifts and financial assistance. On 16th June 2014 Forced Marriage became a criminal offence in England, Wales and Northern Ireland. Bilston members have been working with Karma Nirvana and Jasvinder Sanghera to help achieve this goal. Many Soroptimists in clubs throughout the UK completed the Home Office consultation which has led to this happening. The photo shows women who were victims of so called honour based violence. Jasvinder is now campaigning to honour these women and to dishonour the crime by establishing a day of memory to all those victims. On 4th June 2014 members attended a seminar organised by Wolverhampton Safe Guarding and Wolverhampton Domestic Violence Forum on the new law. Jasvinder spoke with her normal passion and delegates heard from a blind survivor about her ‘escape’. A representative from the Forced Marriage Unit also explained the law. During the year 2012/13 club members collected and packed 77 backpacks for the charity Mary’s Meals enabling 77 children to go to school and receive a hot meal per day. Since 2011 Bilston members started a long term project working alongside Jasvinder Sanghera and her charity Karma Nirvana to raise awareness of forced marriage in the UK. Club members responded to the Home Office consultation on the criminalisation of Forced Marriage and asked all Soroptimist clubs in the UK to complete the online questionnaire and postcard campaign. In June 2012 it was announced that Forced Marriage would be criminalised in 2013. The club has been campaigning in partnership with Marine Conservation Society to ban the mass release of balloons to protect the environment and wildlife. Even in 2012 club members still monitor and follow up the mass release of balloons. We have written to HRH Queen Elizabeth to highlight the problems caused by mass releases during her Diamond Jubilee Year events. At the Brighton Federation Conference Bilston was nominated for a SIGBI Best Practice Award. In June 2010 we helped CRY to organise a free cardiac screening event held at the Wolverhampton Wanderers Football Club. There were 216 young people (14- 35 years) screened and 16 found to need further investigation with 2 sent directly from the screening for immediate attention. In 2008 the club was presented with an International Best Practice Award for the support given to The Kenyan Camel Library. The club purchased over 400 books and a female camel! Eighteen Bilston members gave a lively and amusing presentation at the Federation conference in Barbados where Margaret Lobo Soroptimist International President made the award. Camel masks used in club presentation.